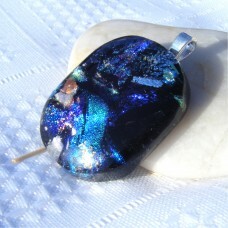 3 cm x 2.5cm. 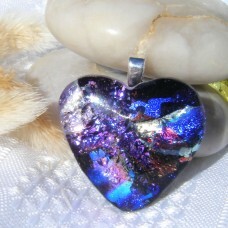 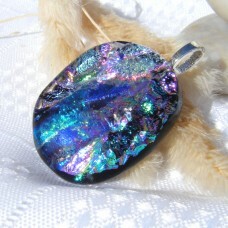 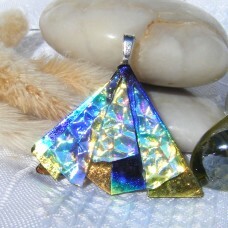 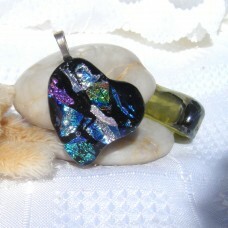 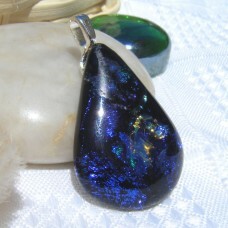 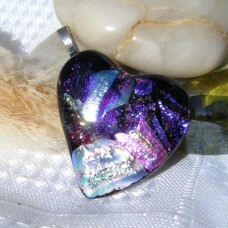 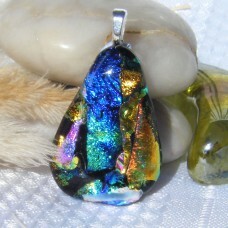 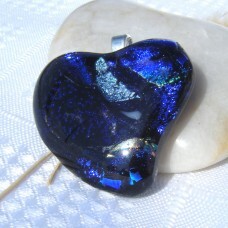 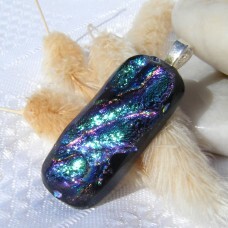 Lovely blue, turquoise and teal dichroic creating colorful beauty. 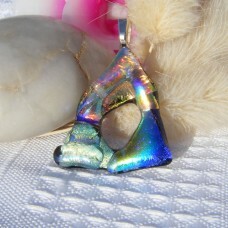 The perfect shape a..
3 x 2 cm. 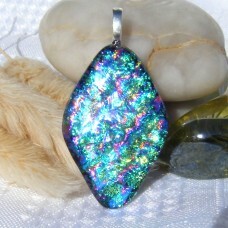 Shimmering and Glowing beautiful colour awaits you in this teardrop necklace. 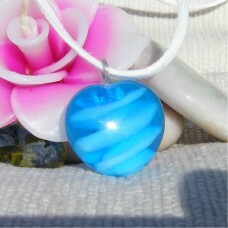 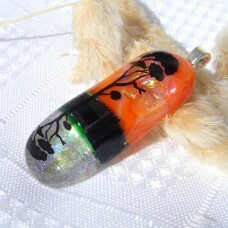 This piece h..
Something a little different, a lampwork bead, fused to flatten it and make a perfect everyday penda..
4 cm x 3cm diameter. 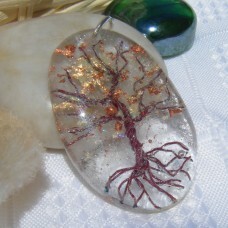 Autumn tree of life captured in clear glass with golden and brown leaves. 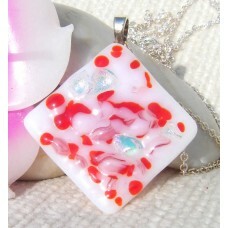 Coppe..
3 cm x 2.5 cm. 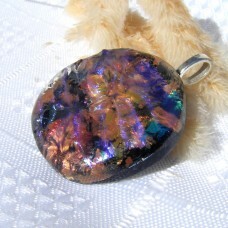 Beautiful texture patterns in a gorgeous combination of rich colours combine in this ..
3 cm diameter. 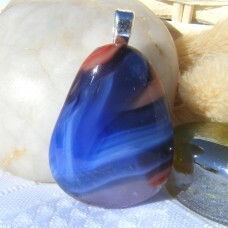 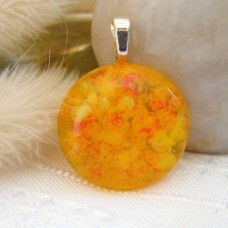 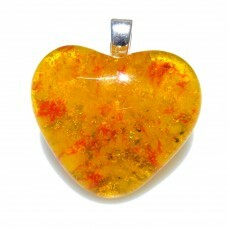 Beautiful texture patterns in a gorgeous combination of rich colours combine in this ..
2.5 cm x 2.2 cm. 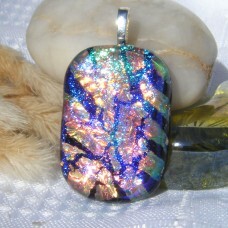 Beautiful texture patterns in a gorgeous combination of rich colours combine in thi..